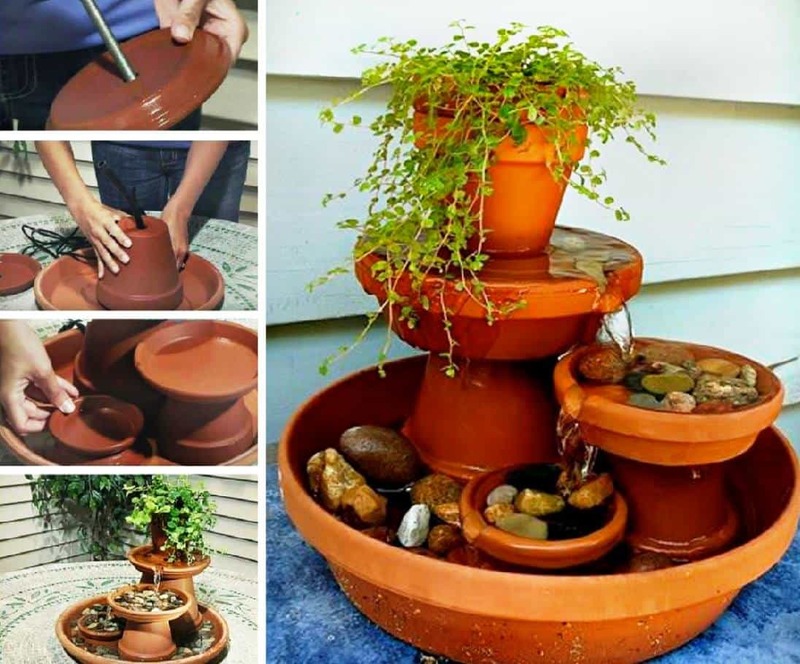 There’s nothing more tranquil than the sound of running water and this easy to make table top Clay Pot Fountain is the perfect addition to your home. There is something about the sound of running water over rocks .. it’s so relaxing, therapeutic and at one with nature. There’s a reason why so many people love to have a fountain or water feature of some description in their home. If you are one of them, this is the perfect DIY and you will love the results! How many times have you walked through a park and heard a running creek or babbling brook? The sound of water is soothing to the soul. It keeps your heart peaceful and your mind calm. From a visual point of view, you can spend hours mesmerized. It’s perfect for meditating. 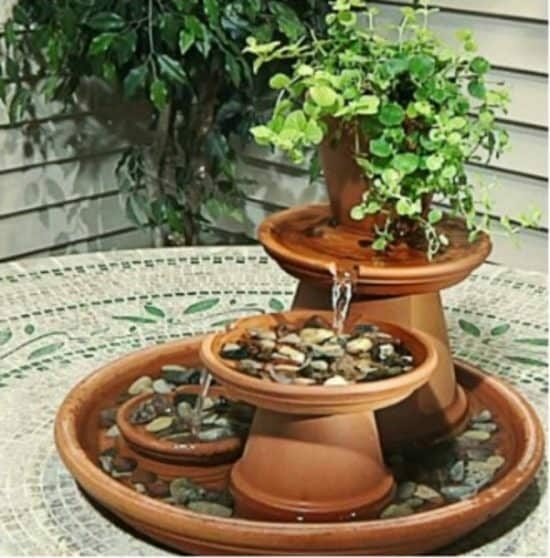 Fountains have always been a popular addition to a home or garden and we particularly love this tabletop version that is using Clay Pots, Saucers, pebbles and plants. You will only need a small water pump for this project and it’s easy to put together. 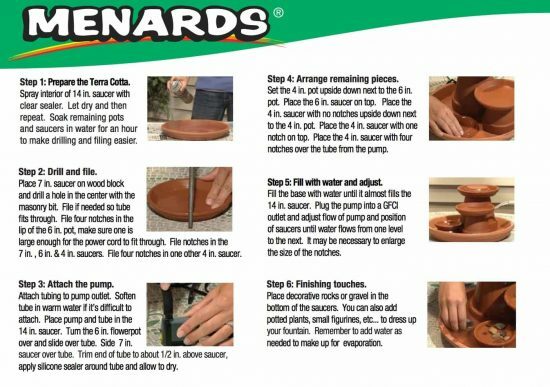 There are lots of reasons to have a Water Feature in your home and this is the perfect beginner project.